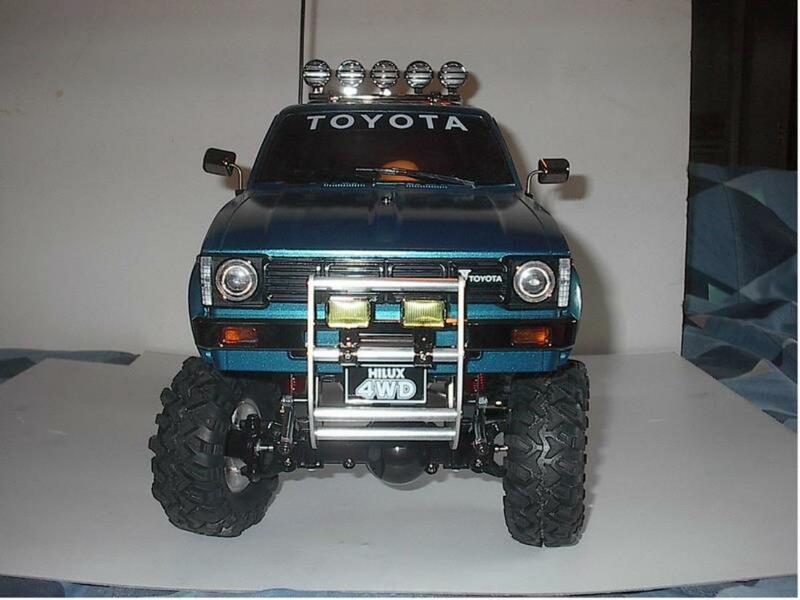 I finished my new Hilux up I like the way it come out. 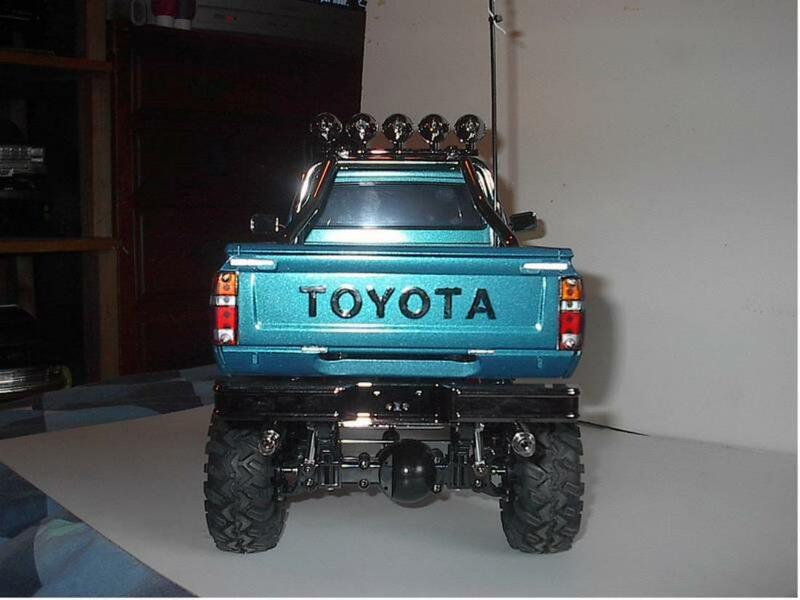 I couldn't help myself and made kinda pretty instead of making it more of a scale trail truck all in due time. I really liked this build lots of opitions to choose from. I used rock stompers instead of the stock ones. Painted in automotive Cayman green with clear coat. Using a skysport radio and an LRP esc. Well hope you all like it as much as I do. I haven't had a chance to really put it to the test as the weather has been bad here did run it in the house a little. 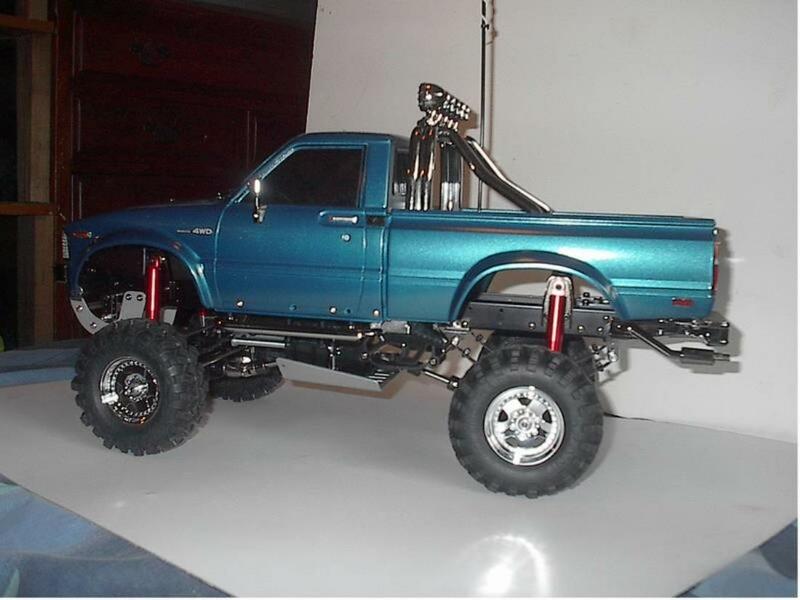 Lovely truck! I would like one like the one day. Thanks for the comments guys. I will post some outdoor pics soon. The paint looks much better in sunlight. 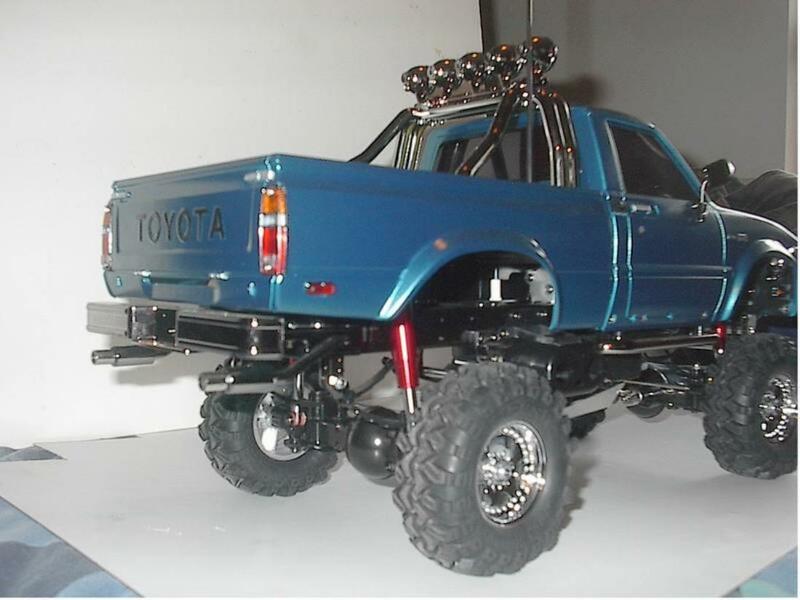 I'm building one myself, just can't decide on the color..
Looks really nice with those tyres. Looks great Dale, the first inevitable role over will fix the pretty part for you I have another one of these on the bench tonight myself...they are kind of addicting. 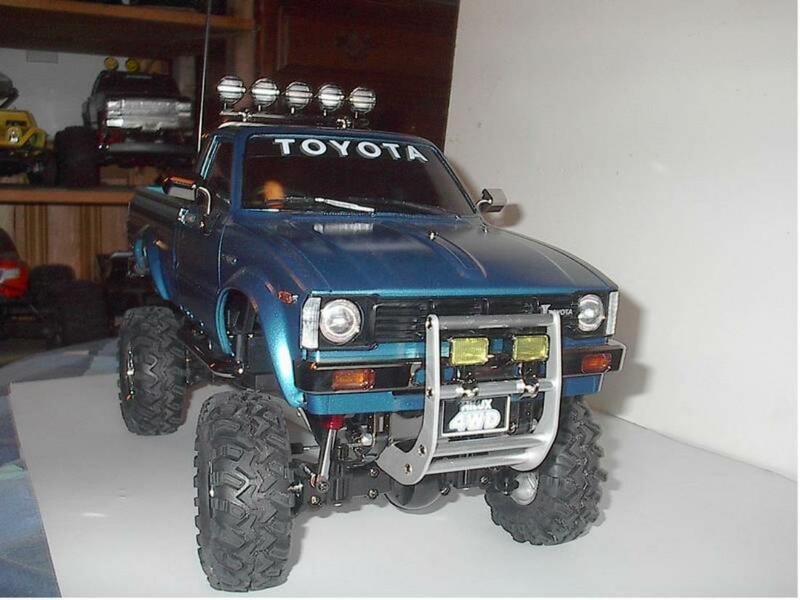 nice looking yota. 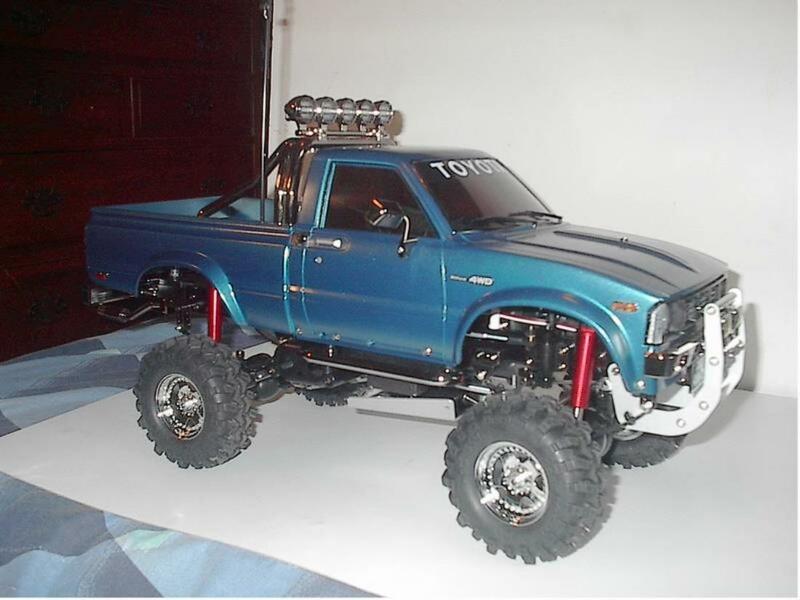 used to drive the real thing years back and it looked alot like this one. i can still smell the interior , ahh.